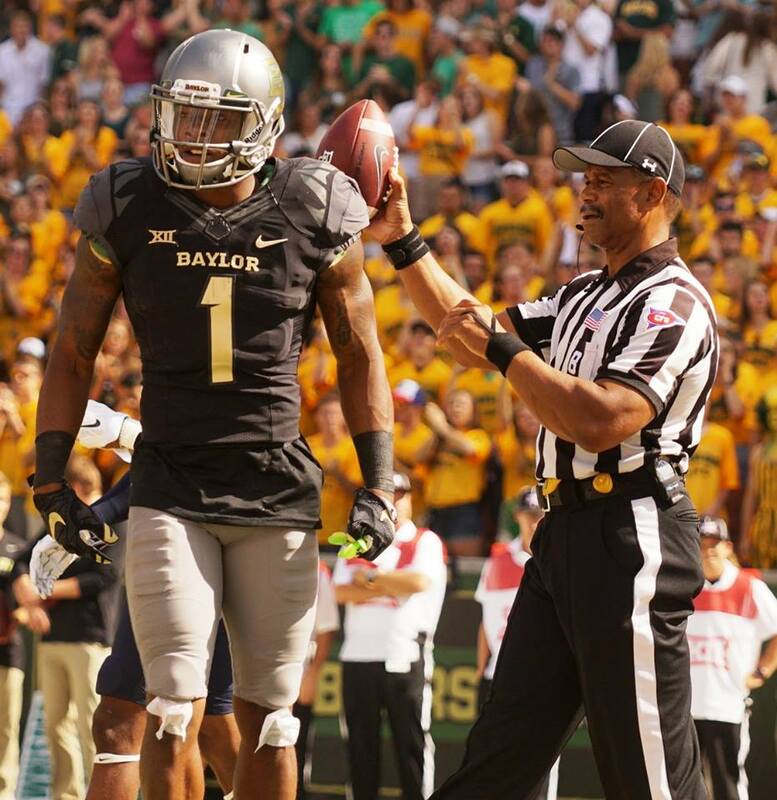 WACO, Texas — Baylor bills itself as “Wide Receiver U.” Corey Coleman seems intent on rewriting the narrative. Coleman caught three touchdown passes Saturday against West Virginia (3-3, 0-3 in Big 12), helping the No. 2/2 Bears (6-0, 3-0) to a 62-38 win over the Mountaineers at McLane Stadium, and in doing took over one of the Bears’ most notable records. After just six games Coleman has 16 touchdown receptions, now the most in any single season in Baylor history. Yes, he broke the record of 14 — set by Kendall Wright in 2011 — in half a season. Everyone is just a little blown away right now.